We surely see some tangled messes in the flooring industry when customers buy flooring products based on marketing and not based upon choosing the right products for their location or application. Invariably, the product doesn’t live up to their expectations. Flooring warranties are part of the marketing package; they are not insurance against a bad product choice and we need to do a better job at making sure our sales people and customers understand the difference. For every application there is an appropriate product. The right product in the right place, and there always is one, will perform up to the expectations of the end user. The role of the flooring professional is to guide the buying decision toward the right product. In the absence of professional help a consumer is left to make a decision based upon marketing alone. Even with "professional help" they can come away confused. Here's a great example of a consumer who is trying to make the right carpet decision but is "so confused." 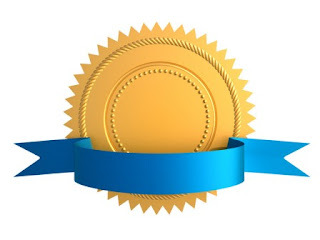 A warranty, or guarantee, is an assurance of the quality of or of the length of use to be expected from a product offered for sale often with a promise of reimbursement. All warranties come with exclusions. Most warranties are never fully read or even seen until there’s a problem and then the consumer is left to interpret them alone only to find that the warranty rarely covers what they thought it did. Take “wear” for example. “Wear” to our carpet industry means the abrasive loss of fiber, up to 10% loss over a period of 5 or 10 years, depending on how the warranty reads. To a consumer it means something totally different. When a consumer hears "wear" they think "appearance retention." Naturally, any change to the product appearance they weren’t expecting – generally after a short period of time – is what they consider “wear” .... traffic lanes that appear matted or crushed or carpet that is disarrayed in front of a favorite sofa or chair, or what I like to call “ugly out." When the product doesn’t look the same in these areas as it does in areas not used so much, consumers think it is "wearing" prematurely. This misunderstanding is the genesis of many complaints and claims. Stain warranties are another. Stain warranties typically state that the carpet offers improved resistance to stains when the carpet is properly installed and maintained in its original single-family interior location. (This makes the phrase “properly installed and maintained” very important but warranties rarely say what that is) .... but more to my point...what is a stain and what is a spot and why does it matter? A spot is caused when a foreign substance is spilled onto the floor leaving a residue that attracts dirt that creates a dark spot. A stain is the result of a foreign substance coming in contact with the surface of the flooring that either imparts color to or strips the color from the floor. Spots will clean out, stains will not. A stain warranty doesn’t mean the carpet won’t get dirty or show dirt. 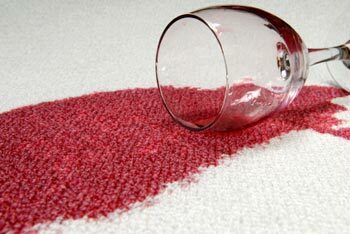 Stain warranties exclude stains from non-food and non-beverage substances. Staining from acne medications, household cleaners, swimming pool chemicals, chlorine bleach, insecticides, plant foods, vomit, feces, and other harsh substances are not covered by these warranties. These warranties cover staining only; not soiling. Most perceived stains are actually spots or soil. Oh by the way….all those “Oxy” type cleaning products you see on TV? They stain flooring! This is one of my favorites. No mat no crush warranties say the carpet will not mat or crush from foot traffic. This warranty excludes stairs and hallways. Carpet is a vertically oriented textile floor covering and when walked on repeatedly, particularly in concentrated, unalterable and pivotal areas, it mats and crushes. This is what it does naturally; it’s the law of physics at work. What the warranty should say is that the carpet is guaranteed to mat and crush or compact to a certain extent. Depending on the construction the matting may be unnoticeable or very noticeable, but it is going to occur. There are those who think that warranties are the single biggest injustice perpetrated on the consumer because what is given in one paragraph is taken away in the next three and what they think is covered is not. Warranties are largely marketing tools written by legal and marketing departments and not so much protection against a product that fails to perform. Buying decisions should start with qualifying the user and the intended use of the product. That is more important than marketing or warranty promises. A conscientious flooring professional will know the product and what it was designed to do - and not do. If the right product is chosen and installed properly you’ll rarely ever need to read the warranty – or need a claims and performance specialist like me. 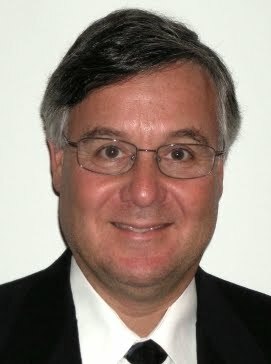 The Floor Covering Institute is pleased to announce that Mitchell Dancik, president of Dancik International, has joined our consulting group and will be posting regularly on this blog site. 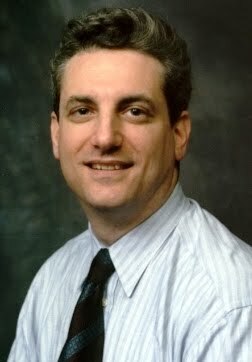 Mitch has specialized in providing software solutions for the flooring industry for over 25 years. In fact, more than half of all the hard surface flooring sold in North America today is processed by Dancik software at some point on its journey from the manufacturer to customers. He has worked with more than 130 flooring companies so many of you know Mitch; if you want to read more about him go to our website but be sure to come back because today he has chosen to explain the status of B2B and why it’s taking so long to implement the process in our industry. At my software company, Dancik International, I am constantly asked about the status of business to business (B2B) connectivity in the floor covering industry. In particular, I am asked “What’s wrong with B2B?” and “Why aren’t there more results?” I will try to answer these and other technology-related questions, using my new platform here at the Floor Covering Institute. The process of using computer technology to exchange information from “Business to Business” (B2B) is alive and functioning in the flooring industry but it hasn’t been adopted here as quickly as in some other industries and I’ll explain why in a moment. First, it’s important to know that uniform standards that allow flooring companies to seamlessly exchange information electronically already exist and are being used by participants at every level of the industry. Price lists, product catalogs, purchase orders, order acknowledgments, and invoices were developed by a dedicated group of industry volunteers who formed the Floor Covering Business to Business Association (fcB2B) and have been working together for nearly a decade to advance B2B in this industry. 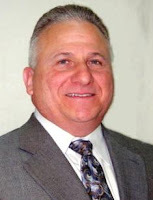 As you read this article, hundreds of dedicated people in all facets of the flooring industry are preparing for the 2010 industry-wide B2B gathering, an important event organized by the fcB2B group to continue their work on the industry’s B2B protocols. None of the participating companies are paid for this service to the industry. When fully integrated, B2B will allow seamless exchange of information globally between domestic and foreign manufacturers, distributors, freight carriers, independent retailers, buying groups, chains, big box stores and software companies. Presently there are participating companies in each of these categories in the floor covering industry but the industry as a whole has been slow to adopt. So, why is the flooring industry having a hard time implementing B2B? They don’t give a hoot about the “little guys” in the industry. How is this different than the flooring industry’s B2B situation? The “little guys” in flooring are one of the main targets for B2B, and it’s a lot harder to implement thousands of independent retailers than a single giant customer. Wal-mart has the buying power to bend the supply chain to its design, and it has. In fact, more industry-wide B2B movements have been caused by Wal-Mart than by any other company, but its dominance has left small businesses and other slow adopters at a great disadvantage. In comparison, the flooring industry is not dominated by one giant nor does this industry desire to leave anyone stranded. We want every small business to share in the benefits of B2B but, without the “big stick” that forced other industries to adopt quickly the flooring industry is taking a longer journey to make B2B work for everyone. Even after a decade of progress, some retailers feel that today’s B2B is too cumbersome and not compatible enough with their current processes. We need to keep making it easier for the retailers until the barriers that exist today are overcome. If there can be any comparison to Wal-Mart in our industry; it would be Home Depot and Lowe's who adopted B2B protocols with the flooring industry nearly 20 years ago. Yes, automated purchase orders, shipping notices, invoices, the whole nine yards, have been working without a hitch since the early 1990s. For many of my customers who service Home Depot and Lowe's, there is no human intervention with an order, except for picking and shipping. All order entry, inventory selection, pricing, and truck routing are achieved automatically. Small retailers can enjoy the same capabilities because of the work already accomplished in our industry, primarily by the fcB2B. So, hang in there. The economy is soft, and investing in B2B may not be a top priority for some, yet B2B is a worthy pursuit that we will get right. 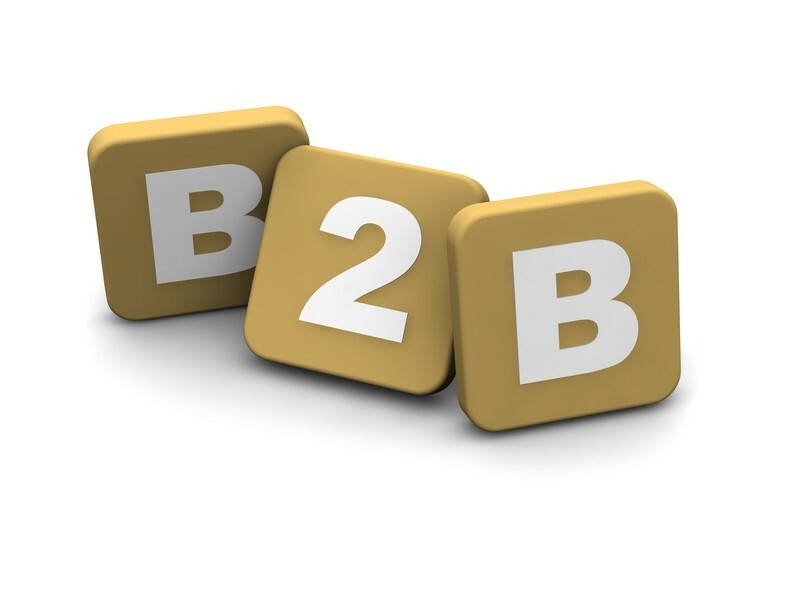 If you want to know more about the advantages of B2B, visit the fcB2B website which has a comprehensive resource page, or feel free to contact me directly. I look forward to posting here often and answering your questions about how technology can be used to streamline your operations and improve your business. Let me know what you want to hear about, and thank you for reading. Floor covering customers, like all customers, are passionate about customer service and there’s nothing like a bad experience to make my point so naturally I wanted to share my most recent customer service nightmare with you. I actually wrote about it at length in this post - I can’t tell you how cathartic writing it all down was - but our blog editor reduced my rant to save you from my painful story and now we have this efficient description in the following short story. I hope you read it because there really is a point to sharing this. My journey to buy a “fancy” (expensive) refrigerator to match other appliances in our new home sent my wife and I from manufacturer to distributor to a specialty retailer. When the freezer didn’t work an hour after finally being installed on a Friday afternoon we quickly learned that the “emergency 24 hour service number” shut down at 5 p.m. on Fridays. Over the weekend and throughout Monday we pinged between the retailer, who said they couldn’t fix it, to the distributor who said that because the refrigerator was new the manufacturer had to get involved; all the while we were chilling our milk and water in a $20 cooler next to the 'fridge. By Monday afternoon when no one in the pecking order had bothered to step up, and after pitching all the food in the freezer, my “rather aggressive” approach (so he said) with the distributor caused him to dispatch a technician to make what turned out to be a simple repair and the cooler was honorably retired. A week later no one has yet called us to see if the problem was fixed. Compare that with our contemporaneous experience of purchasing a new washer and dryer at a big box store. It took what comparatively felt like 5 minutes, the delivery was on schedule, we were washing clothes right away and they called back to see if we were happy. Guess who I’ll return to for the next appliance? So what’s the lesson here? First of all…how many times do you think a consumer finds their dream flooring in a shelter magazine or on the Internet and contacts the manufacturer, who sends them to the distributor who tells them they need to order the flooring from a retailer? It’s probably not uncommon. I’m just wondering how our industry handles this. If you are a distributor and you get the call, do you follow up with the consumer or the retailer to make sure the sale gets captured quickly? If you are a retailer and you get a complaint from your customer about a faulty floor does your response leave the customer wondering who between you, the distributor and the manufacturer will solve their problem, if anyone? I know it often takes intervention at several levels to resolve a complaint, but from a customer’s standpoint all they really want to know is that someone heard them, someone is acting and someone is responsible. 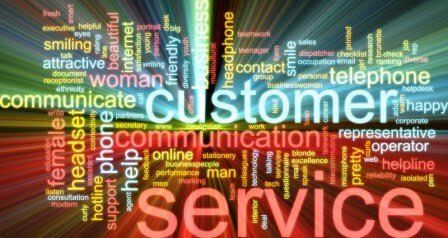 There are plenty of resources for learning how to improve your customer’s experience but this simple piece of advice will go a long way….”THINK LIKE A CUSTOMER.” If you were making the phone call to report a warm freezer in an hour old refrigerator or bubbles in a newly laid resilient floor what would you want to hear from the people who were your last and best contact? One company that has perfected the art of customer service is Zappos. I'm not an expert on the company but my institute colleague, Christine Whittemore, who is well-known for her expertise in improving the retail experience, apparently knows quite a bit about Zappos. 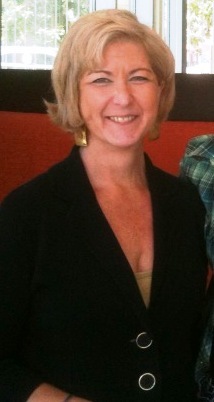 There’s a picture of her sitting in the Zappos “royalty chair” on her blog site, Flooring the Consumer. But I digress. Her blog post, Zappos Embodies Customer Service, sites the Zappos brand mantra: “Leadership’s passion for the brand, an unwavering focus on delivering the brand, and a culture that reinforces each employee’s responsibility for the brand.” This makes we wonder, “Who do you think had the passion for delivering and reinforcing the brand of my refrigerator?" There is no getting around the fact that complaint resolution usually involves delivering some form of bad news, whether it’s delays, unreimbursed expenses or a downright turndown. But even those situations can be handled in a way that leaves the customer appreciating your intervention. It’s sometimes not what you say but how you say it that matters. Every interaction with a customer is a brand delivering event. What impression do you leave? Thank you for reading and I hope you'll comment here. Floor Covering Institute updates Lacey Act investigation and UN's "Year of Forests"
News from the Gibson Guitar Lacey Act investigation comes today from the Nashville Business Journal. The government has filed a civil suit against Gibson seeking "official forfeiture" of the guitars they allege were partially made of wood deemed to be illegally sourced under the provisions of the Lacey Act. We are following this story because Gibson is the first to be investigated under the new provisions of the Lacey Act Amendments which bans illegally harvested timber from the US supply chain. What the government does with Gibson could be applicable to how they investigate and prosecute claims of illegal wood in the floor covering supply chain. Lacey makes it a crime to receive, transport or sell timber products harvested in a manner contrary to the laws of the country from which the timber originated. Once illegal wood enters the US supply chain, whether as a raw material or in a finished product such as flooring, a Lacey violation is triggered placing everyone in the downstream supply chain at risk of prosecution. 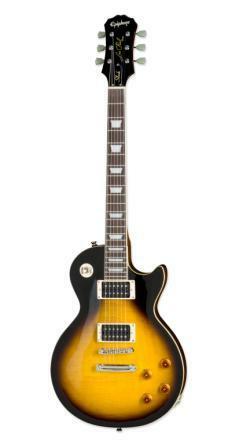 In the case of Gibson, the government alleges that it used illegal Ebony in the construction of some of its guitars. Under the Lacey provisions, all products containing illegal wood can be confiscated, including floor covering, furniture, and toys, among many others. The flooring industry supply chain, and all other wood products industries, must employ a standard of “due diligence” to ascertain that the products they sell do not contain wood that was harvested illegally. The National Wood Flooring Association is working with a group of timber stakeholders to get the standards of "due dillegence" clarified. We will keep you posted. You can read more about the due care standard at one of our earlier blog posts on The U.S. Lacey Act Amendments. In July the EU’s Parliament approved a ban similar to the Lacey Act which prohibits the sale of timber logged illegally under the rules on the country of origin. According the parliament figures, at least 20 percent of the wood entering the EU now comes from illegal sources. You can read more about this at illegal-logging.info. The United Nations General Assembly has named 2011 the International Year of Forests and has requested the private sector, governments and NGOs raise public awareness of progressive forest management as a key element in building a sustainable global society. In July the UN launched its official logo for this year long event. 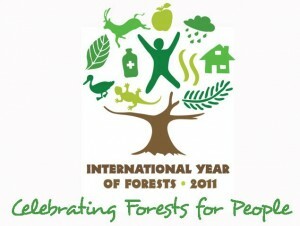 More information and guidelines on the use of the logo can be found on the UN Forum on Forest website at www.un.org./esa/forests. The Floor Covering Institute will incorporate use of the logo and awareness of progressive forest management at the World Flooring Forum to be held in March 2011 at the Domotex international flooring show in Shanghai. The economic trends and long-term outlook for the flooring industry tell us that if you want to grow your business your strategy must include growing market share. The 2010 Catalina Report on Floor Coverings indicates that there is a recovery in U.S. floor coverings sales. However, the recovery will be sluggish. Dollar U.S. floor coverings sales are estimated to increase 3.0% during 2010. This growth is being driven by the double-digit increase in existing home sales over the past three quarters. Going forward, however, the gains in existing home sales could level off with the expiration of the homebuyers' tax credit. The builder market will also have a hard time showing significant gains due to the "overhang "of empty and foreclosures homes. Overhang is the term economists use to refer to the number of foreclosed properties that will wind up on the for sale market. There are about 4.5 million distressed residences in the U.S. today, meaning they are either in foreclosure or owners are several months behind on payments and until that overhang is addressed the housing market won't see an environment that encourages much new home construction. In addition, commercial flooring purchases are still declining, as the adverse affects of the recession are still moving through nonresidential markets. These headwinds will keep the flooring industry growth below long-term industry rates for some time. • Interface made inroads in the carpet sector by meeting the needs of the commercial customer. • David Wootton’s post explained how to take advantage of growing global markets in “Flooring May be Global but Markets are Local”. Of course, there are many strategies; expanding into foreign markets is something that many US manufacturers are considering these days. Regardless of the ultimate path, the first step is to decide if growing your business is right for you now. The next step is to begin conversations with people who are knowledgeable about the options and can help you assess and explore them, and, always base your decisions on sound research and due diligence.